When it comes to horsepower, the bar is constantly being raised both in the OE sector but also aftermarket performance. As a natural consequence, a common request has been and still is; “a bigger supercharger”. 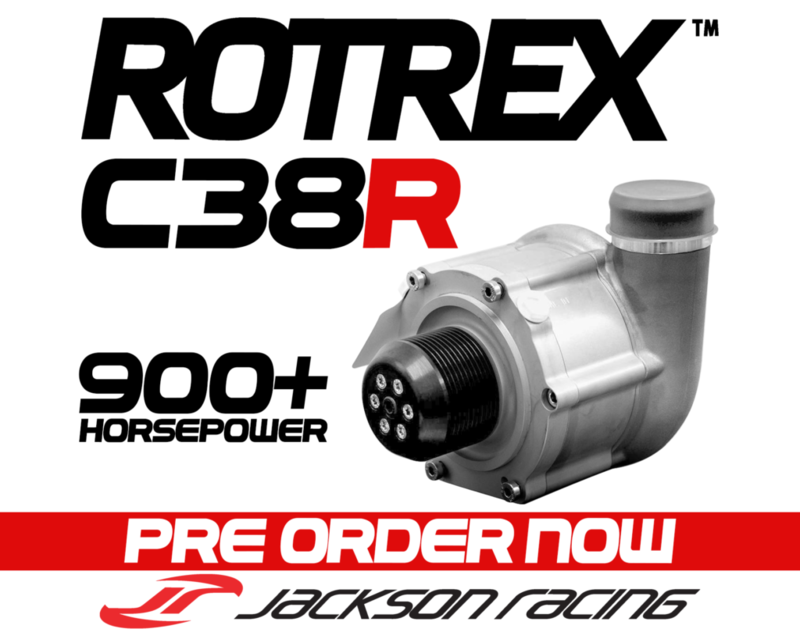 Rotrex has over the past year been working on an upgraded version of the C38 size supercharger to meet this demand and has now reached a great milestone. The outcome is the C38R – nearly identical size as a C38, but made for a higher power transfer and can support applications ranging up to 8 – 900 hp for a single charger setup! Current prototype impeller trim achieves more than 0.8 kg/s (105 lbs/min) and pressure ratio above 3.0! Final compressor performance will be revealed later. The design has passed automotive standards for SAE testing, similar to our standard range of C – Range superchargers. As we are well aware that a lot of work has gone into design of applications supporting the C38 size supercharger, the new C38R has been made for a direct retrofit with identical mount dimensioning. This means that customers already using the C38 will be able to upgrade to a C38R and gain up to 30% more power. Due to the higher power level, the input has been completely redesigned and can allow up to 12 rib poly – V profile belts, enabling a high level of system durability. The next milestone ahead is actual production of the C38R and bringing it to the market. Pre-order today to help bring this fantastic addition to the Rotrex line! Previous post: WATCH SCCA RUNOFFS LIVE!